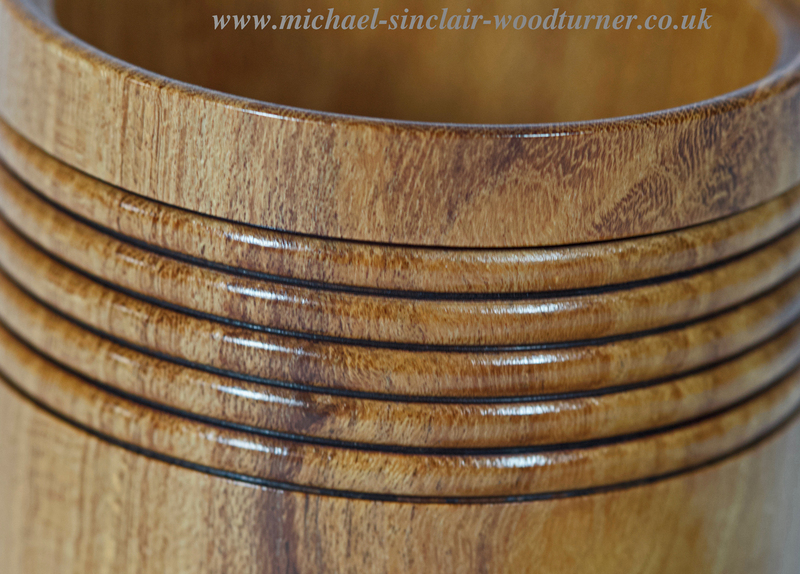 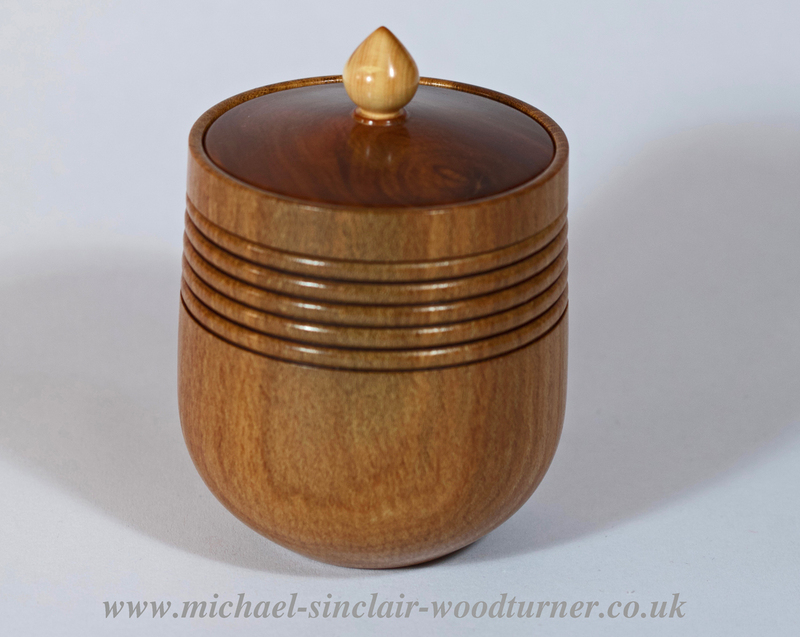 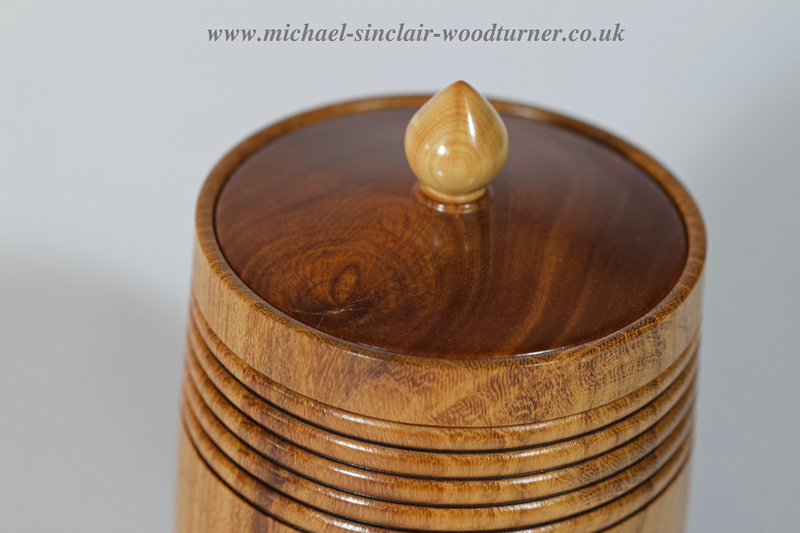 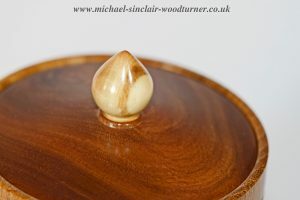 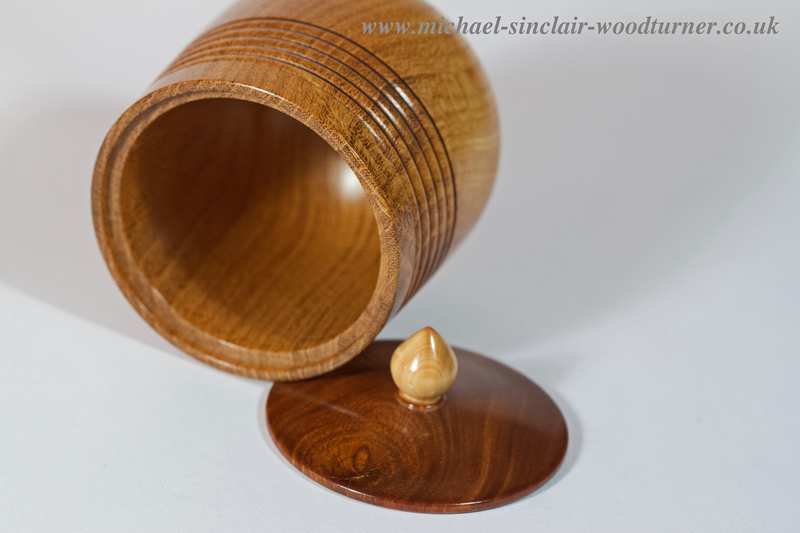 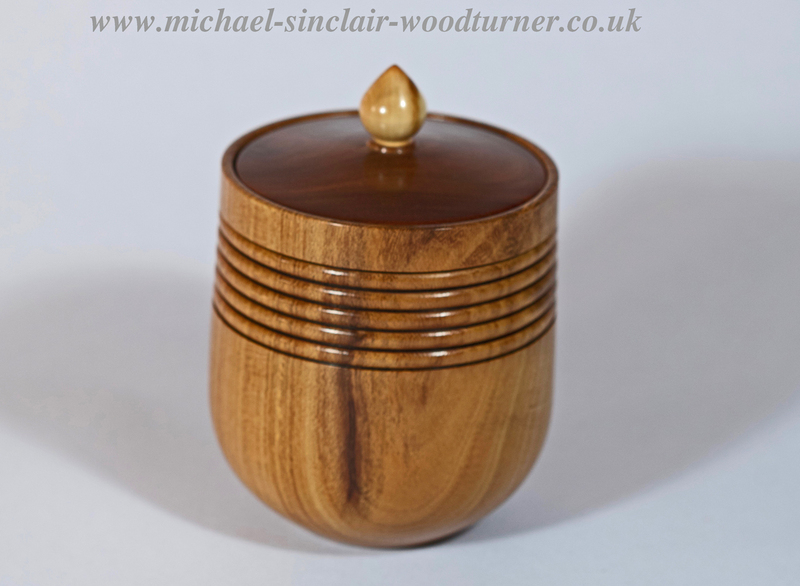 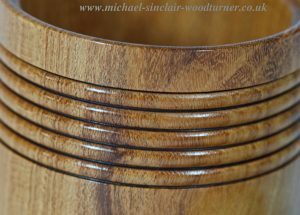 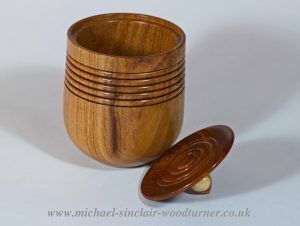 A little lidded box turned from local Orkney laburnum with beaded detail. 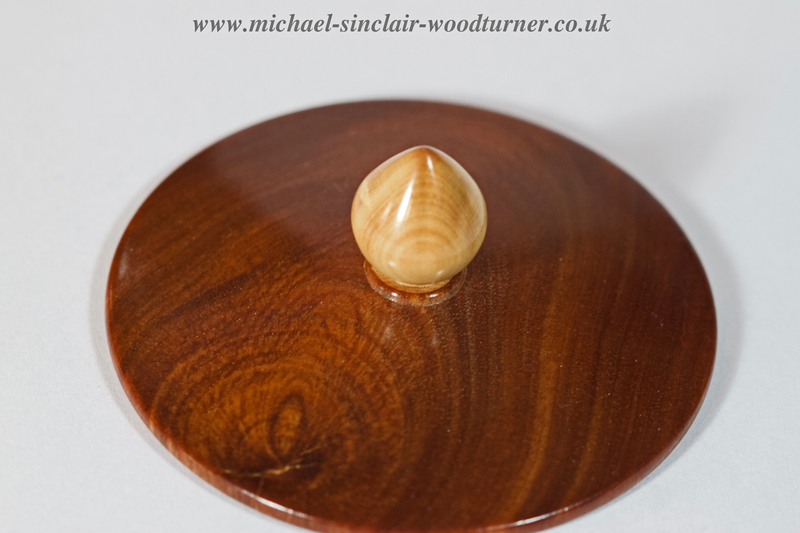 Recycled Lignum vitae lid from an old wooden bowling ball with a boxwood finial. 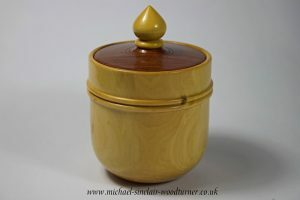 A beautiful little lidded box.